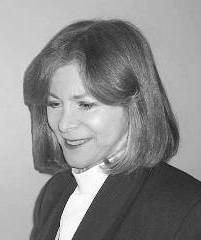 Meta Greenberg brings her experience in business and public administration, organizational analysis, performance management, and human resources programs to her work as a specialist in business communication. She coaches and trains a diversity of executives and managers across industries in speaking, presentation, persuasion, and interaction techniques to help them advance their executive personna and leadership effectiveness. Meta has designed and conducted many advanced training programs, including skills for public speaking and presentation, in performance feedback techniques, for leadership and executive presence, in persuasion and selling approaches, to sharpen the training abilities of instructors and to conduct thorough job analysis in addition to instructional design, group process development, and personal interaction skills. As a complement to working with individuals, she frequently supports specialized industry teams within companies to make them more effective in achieving their business development objectives during their pursuit of major engagements. Meta has been a guest lecturer at Northeastern University, Suffolk University, and the University of Massachusetts as well as an instructor at Lesley University and the University of Connecticut Institute of Public Service. She earned a BA in Comparative Literature from the University of Pennsylvania and completed graduate work at Northeastern University.